Circular outline. 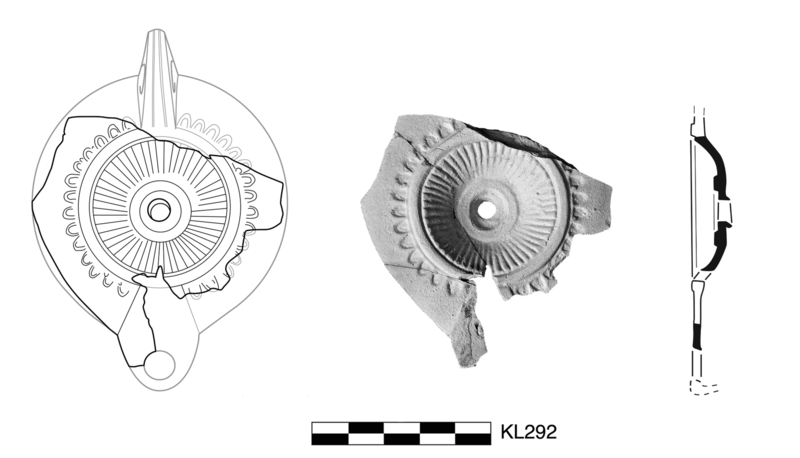 Circular, concave discus has central filling hole with recessed, flat rim, rays, and somewhat rounded framing ring; slit for airhole in front. Wide, slightly sloping shoulder has medium-sized ovules. Narrow, raised kite-shaped nozzle; traces of burning. 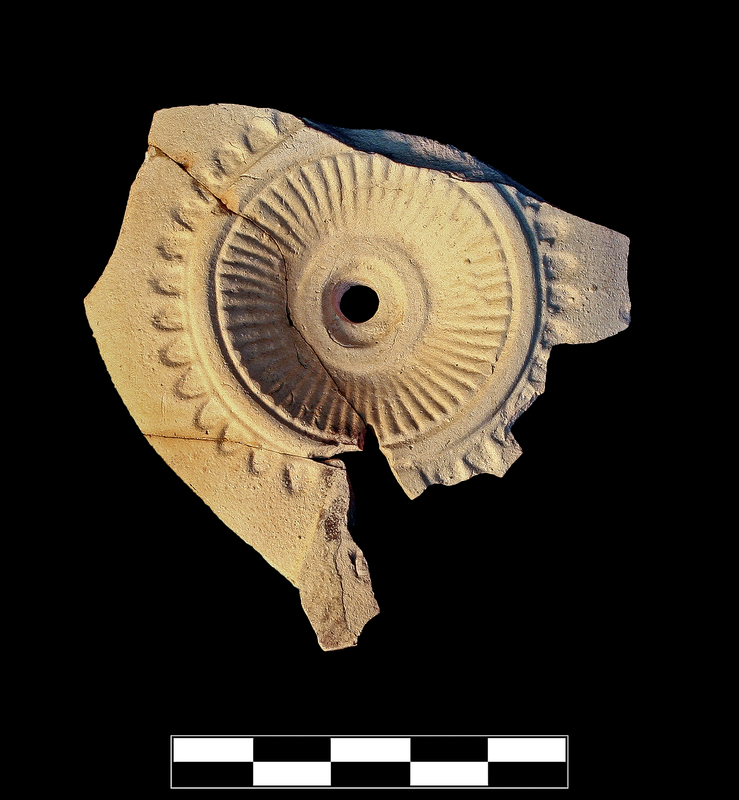 Early/Middle Roman Corinthian pale lamp fabric: fine, hard. Three sherds preserve most of base and back wall. Slight, sparse abrasion and chipping; sparse specks of encrustation.